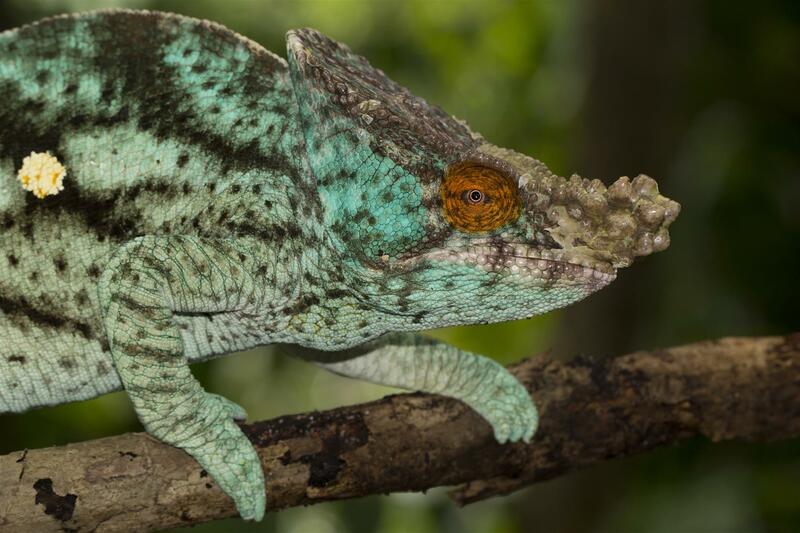 Two chameleon species have been fighting over the title of Madagascar’s largest chameleon for decades. 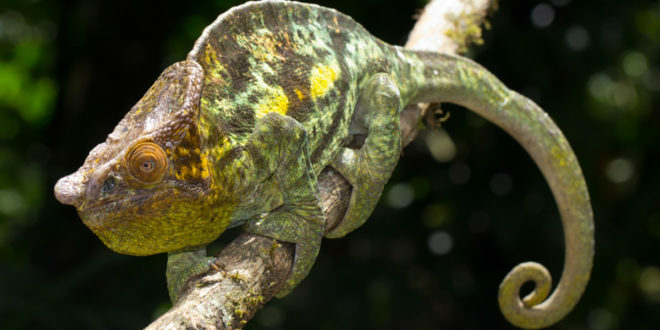 So far the Parson’s Chameleon (Calumma parsonii parsonii) won, whose officially measured representatives with scarcely 70 cm of total length created few centimeters more than the in Madagascar omnipresent Giant Chameleon (Furcifer oustaleti). 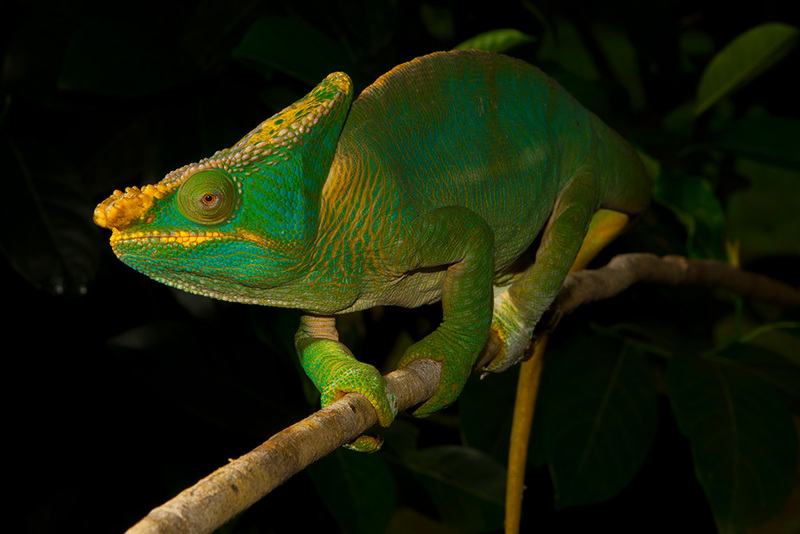 Parson’s Chameleons belong to the most impressive reptiles of Madagascar. They live on trees and have adapted their feet perfectly to this way of life. The strong tail is also used for gripping and climbing. 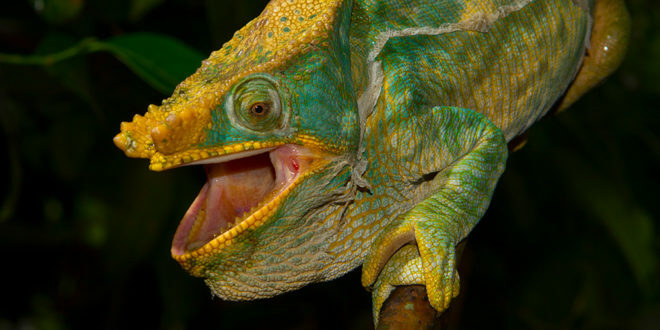 Large Parson’s Chameleons can reach peak weights of 750 grams – a real giant among chameleons. However, they are usually of friendly character, relaxed and unexcited. 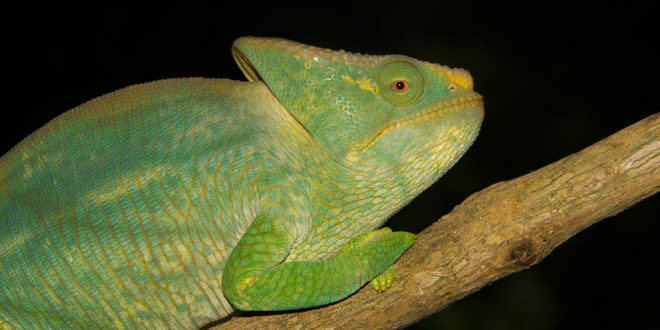 Mora, mora, the attitude to life of many Madagascans, also seems to be the mantra of the Parson’s Chameleon. 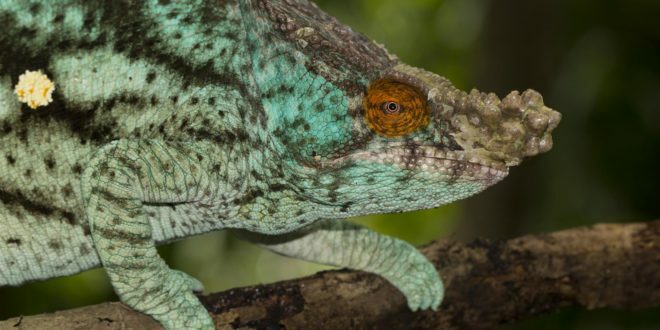 This chameleon was named in 1824 by the French naturalist Georges Baron de Cuvier. He honoured James Parsons, a physician from England who died 54 years earlier and was also interested in natural science. 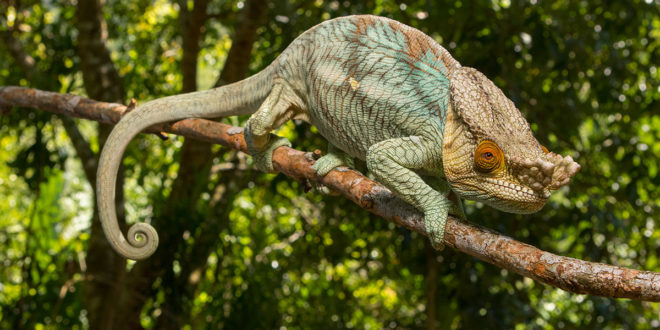 Parson’s Chameleon prefer the last remnants of rainforest in Madagascar, which still exist along the east coast and in the southern highlands. But they have also made friends with coffee plantations in many places. A distinction is made between four different colour variants, which also occur in different places. The most famous of these are probably the so-called Orange Eyes, which can be discovered along the east coast around Toamasina (Tamatave) and up to the island Nosy Boraha (St. Marie). 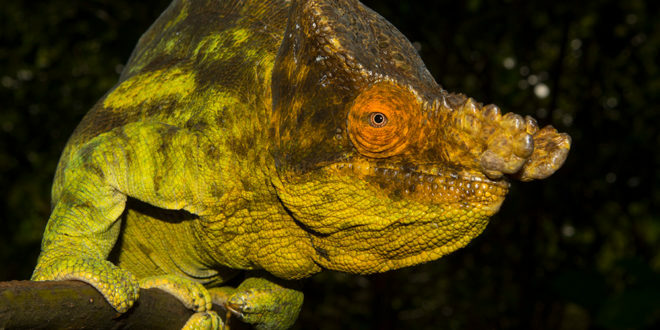 From the eastern highlands around the Vohimana reserve come the Yellow Giants, where the adult males – matching the name – are very strongly yellow. The turquoise-green Green Giants from the Masoala area are the opposite. Unfortunately, there are very few photos and evidence of these beautiful animals, which are rumored to grow larger than any other Parson’s on the island. The fourth color variant in the bundle are the Yellow Lips from the area south of Ranomafana, whose males shine with striking yellow lips with otherwise turquoise color dress. The life of a Parson’s Chameleon already begins with a bizarreness. The egg lies in the ground for a good year and a half before a young animal hatches out of it. 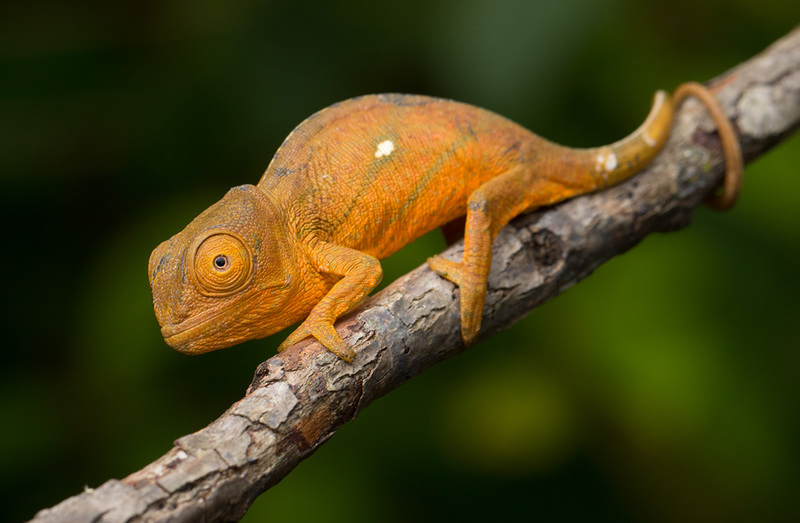 No other chameleon in the world has this enormously long time span for egg development. It is now known that the eggs undergo several so-called diapauses during the cooler dry season, during which development stagnates. 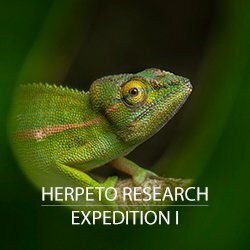 At the beginning of the second rainy season that the egg faces, the small Parson’s Chameleon cuts the shell with its egg tooth. When a young animal finally hatches, it is only a few centimetres tall – not much reminds of the giant it is supposed to become later. It goes immediately independently on the hunt for small, winged insects. The tongue shooting out of its mouth is still rather small – in a few years it will be able to shoot almost one meter. In the first months of life, little Parson’s must protect themselves from predators: Birds of prey, lemurs and snakes are feared enemies. 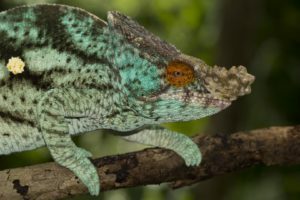 Once the chameleon is full-grown – and the animals continue to grow at least millimetre by millimetre throughout their lives – it has only a few enemies. 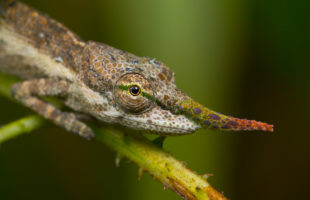 Young chameleons turn preferably behind branches in order not to be discovered by hungry birds, and move slowly like a leaf wobbling in the wind in order not to attract any unnecessary attention. Only at the age of about half a year does the green adult coloration of the females and the distinctive coloration of the males begin to shimmer through, depending on the color variant. With the males now slowly the nasal processes begin to grow, which can become almost shovel-like with old animals. One does not know until today exactly what purpose the nose decoration has. 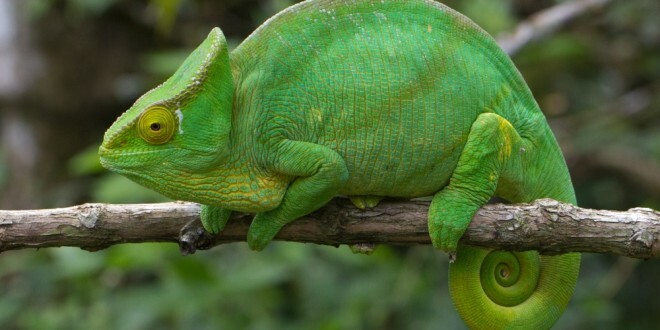 Parson’s Chameleons are not sexually mature until relatively late for reptiles: It takes one or two years in the wild until they show interest in the mating season. In the rainy season from September the males look for females ready for mating. With slowly swinging and nodding head movements, the male signals interest to his beloved. The female reacts either with hissing – if she is already pregnant – or lets the mating happen. After about four months, she digs a deep hole in the soil between tree roots to lay 20 to 40 soft-shelled white eggs. The nest is then carefully covered with soil and foliage so that no one can find the place of deposit again easily. 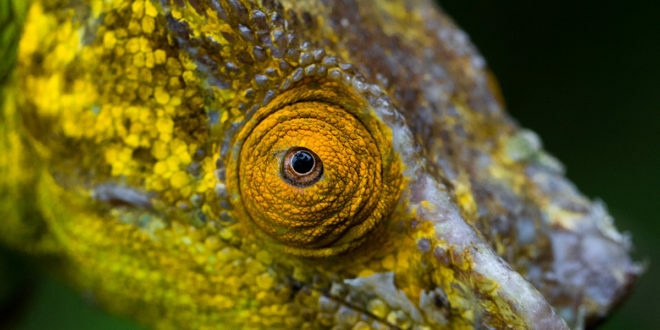 Here begins the life cycle of a new generation of Parson’s Chameleons . 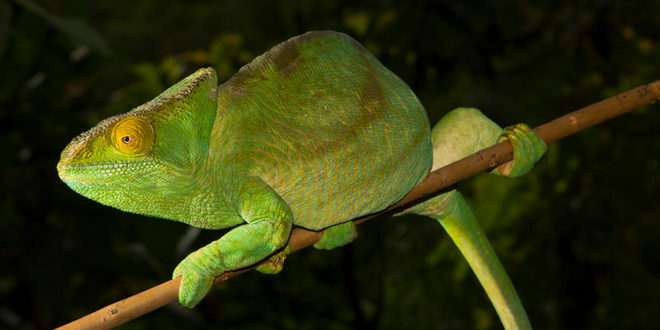 Currently, the Parson’s Chameleon is listed on the IUCN red list as “near threatened”. 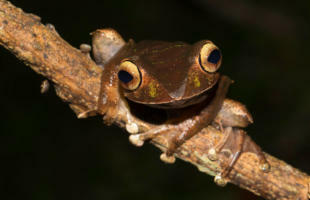 Like almost all animals in Madagascar, it is struggling with dwindling habitats. A limited, rather small number of Parson’s may be exported from Madagascar for terraristics every year. The species is not easy to keep in the terrarium, but in the meantime there are good breeding successes especially in Germany. 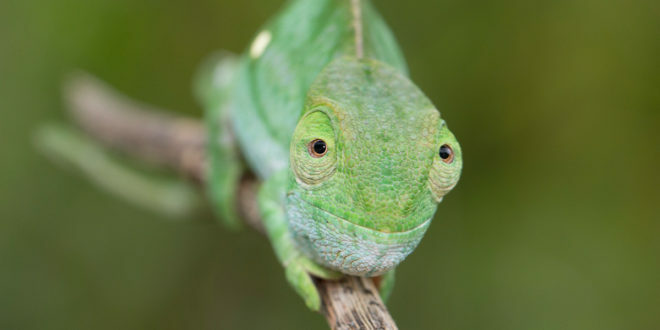 It is also known from terraristics that Parson’s Chameleons can live to be over 15 years old. 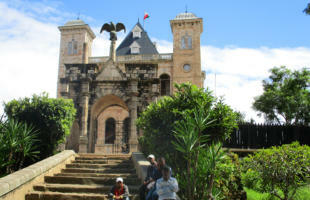 In Madagascar they are certainly not quite as old – the living conditions in the wilderness are simply harder. 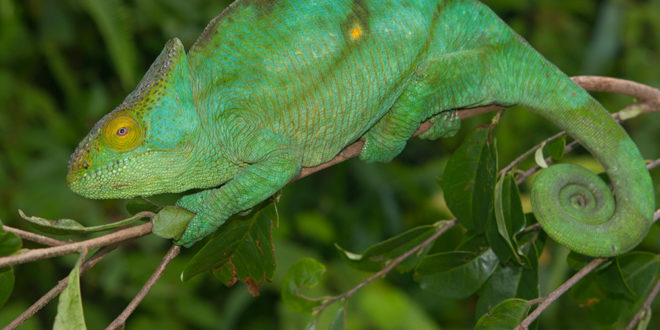 If you have the opportunity to marvel at Parson’s Chameleons in the great outdoors in Madagascar, you should definitely take it. Hardly anyone can escape the magic and fascination of these animals: The gentle giants of Madagascar.